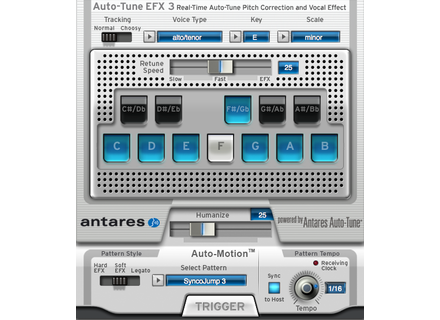 Auto-Tune EFX 3, Pitch Shifter / Time Stretcher from Antares Audio Technology in the Auto-Tune series. 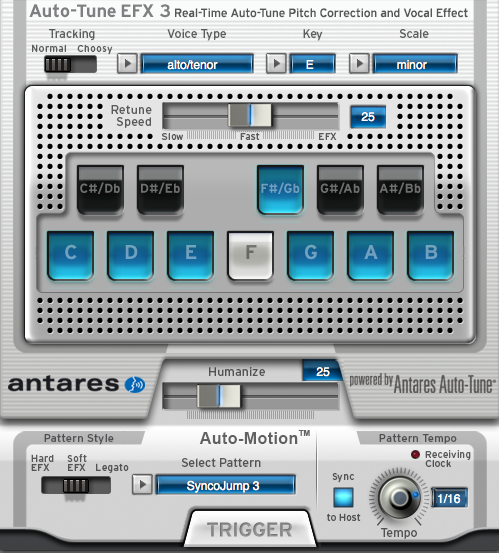 For a limited time, Antares Systems is having a special sale on Auto-Tune EFX 3, available for $49. Auto-Tune EFX 3 provides Auto-Tune's real-time pitch correction and iconic Auto-Tune vocal creative effect in a version described as easier, quicker, and more affordable. Auto-Tune EFX 3 is 64-bit and AAX Native compatible, with more details available here. Offer is valid at this address until midnight (PST), Wednesday, December 30th. PSP releases 2445 software reverb PSP has released the PSP 2445, a reverb plugin based on two legendary early digital age reverberators. Status releases free "De Fuse" presets U-he's Hive Status has released releases De Fuse, a free collection of 51 presets for Hive by U-he. Impact Soundworks Rhapsody Orchestral Colors Impact Soundworks has launched Rhapsody Orchestral Colors, a new symphonic instrument for Kontakt.